So I’ve been known to rant about the Evil Trap of Expectations; a study and a recent New York Times article had some interesting data to back me up. “More than two-thirds of Danes report being “very satisfied with their lives,” according to the Eurobarometer Survey, a figure that has held steady for more than 30 years. True, Danes tend to be healthy, married and active — all contributing factors to happiness. But why, researchers wondered, are Danes happier than Finns and Swedes, who share many of these traits, not to mention a similar culture and climate? The answer is, in a word, expectations. When I started this blog, I intentionally stayed away from the overly personal posts. The point of the blog was to share what I’d learned about being happier, usually from a rather abstract perspective. I didn’t think anyone really wanted to hear about my day, and wasn’t sure how it could be useful. 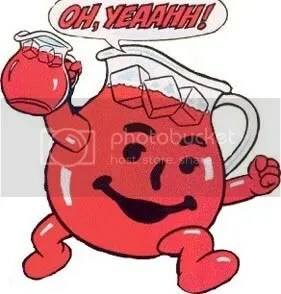 But as I was devouring “lifestyle” posts from strangers friends I’ve only met in blog comments, and advising client #247 that there’s no point to writing a blog if it doesn’t have your personality oozing from it, I realized it was time to drink my own Kool-Aid. So I’ll lay a little groundwork from the past year so my stories make sense. You might know I started my own awesome little web content development business after moving out here to San Diego. I didn’t plan on it, but for the first two months I was here I worked from home for my Dallas employer. In San Diego, in September and October. There was no going back. I tried to find a home in corporate-land, but I just didn’t have patience. By week 6 or so I was handing out my own business cards to everyone I met, asked my boss to let me go part-time, and walked off a cliff. Best choice I’ve ever made. At least half of my business wasn’t just writing new online content, but full web development – HTML and PHP and CSS, oh my! I fell in love with the WordPress platform (the tool that runs this blog and my business site) and used it for all my clients’ sites. The sites I built in a week or two on WordPress were easier to use and more search-friendly than sites that cost 5x. I tried to find web developers to help customize WordPress, but they didn’t know how to use the full power of the tool. I was introduced to a rock-star Internet guru who put me to shame in the arenas of WordPress, SEO, Keyword research and pretty much all thinks technical. Said guru (Ted) and I are the Yin & Yang of online marketing, having similar ideals with complementary skill sets. We had no choice but to become business partners. Ergo, a vision is born. The plan is to simplify-simplify-simplify the mess that most small businesses find when they try to get a new site. There are tools and shortcuts, people. It shouldn’t be so hard.